For women who are having trouble producing their own estrogen, estrogen hormone therapy is available. Keep reading to learn more about estrogen replacement therapy so that you can be just that much closer to taking control of your reproductive life. Estrogen replacement therapy (ERT) is the introduction of external estrogen into a woman's body. Though most often recommended for women who have undergone a hysterectomy or are passing through menopause, it can be seen as beneficial for women of all ages experiencing symptoms of estrogen deficiency. 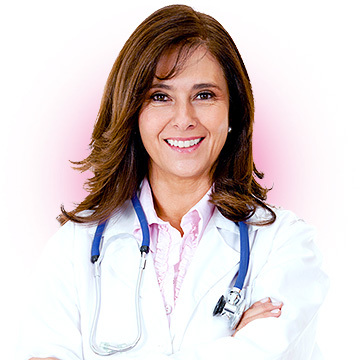 Estrogen hormone replacement therapy provides relief from symptoms such as headaches, irritability, vaginal dryness, hot flashes, night sweats, loss of libido, hair loss, weight gain, sleep disturbances, mood swings, and more. Natural estrogen replacement therapy. Also known as bioidentical estrogen, “natural” estrogen is derived from natural sources, most frequently from the urine of pregnant mares, which is almost identical in chemical structure to a human female's estrogen. Synthetic estrogen replacement therapy. Synthetic estrogens are artificially created in laboratories to be structurally identical to human estrogens. It is important that women who pursue estrogen hormone therapy work with their doctors to develop a treatment plan personalized to their needs, starting with the lowest dose and building up from there if necessary. 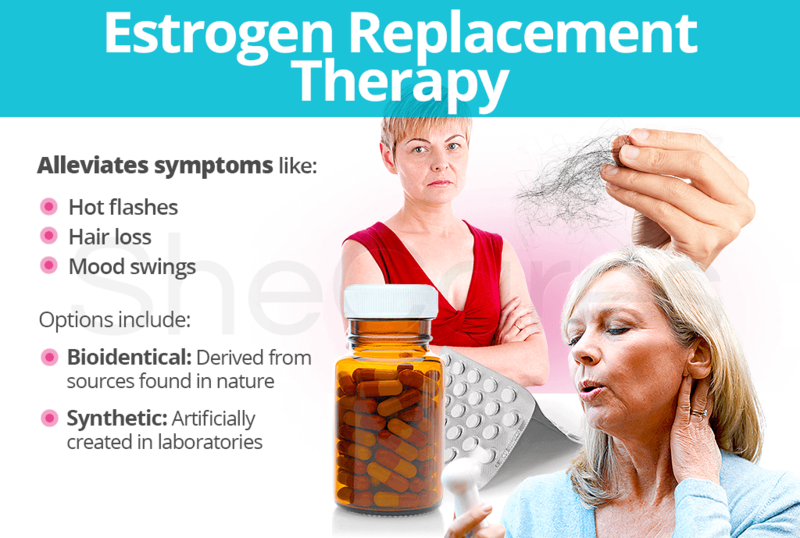 Also, consider the use of compounded hormone replacement therapy, during which estrogen is combined with progesterone, testosterone, or both, depending on a woman's symptoms and risk of developing serious health conditions from taking estrogen alone. To fully understand the breadth of taking external hormones, continue reading about the side effects of estrogen replacement therapy before deciding if it's right for you.